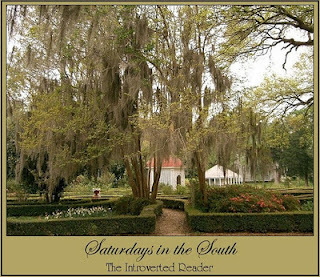 Blogging on "Saturdays In The South"
"Introverted reader," Jen, has a guest post by me on her blog today. 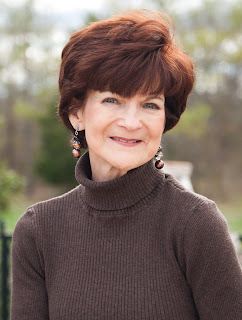 From time to time she features a southern writer, writing about "Saturdays In The South." Pop over, click that tab, and see what I have to say. Continuing my posts on writing technique, I thought I'd mention the concept of an ensemble cast. In my last post, I mentioned The Closer. Although Kyra Sedgwick is the star, the entire cast of characters make contributions to the story in their own way. Each has a unique personna, each has faults and virtues, and if one of them were removed, the show would definitely be different. The same holds true of a novel. There's an old saying in the theatre that there are no small parts, just small actors. In a novel, that's not necessarily true. Sometimes characters appear and disappear rapidly, and it's not necessary for the reader to remember their names or anything about them. Then again, sometimes a character that you might think was a "walk-on" reappears later in the story to assume a pivotal role. Then there are the secondary leads. These may be friends and colleagues of the lead character or may fill the role of antagonist, opposing the protagonist, either openly or behind the scenes. In any case, their interaction with other characters, including the lead, can be critical. Let's go back to my example of The Closer. There's the lead (Kyra Sedgwick, in her role of Brenda Leigh Johnson), and her husband, an FBI agent. The Chief of Police supplies drama because one never knows whether he'll side with or against Brenda. The detectives in her squad all have their good and bad qualities. Recently she's also been involved in a legal battle, which brings in both her attorney and the lawyer suing her and the Department. And so on. Everyone plays a part, and without any one of them, the whole would suffer. Can you think of a book, play, or movie that had a really great ensemble cast? I'd love to hear your examples. Hope you'll share them. 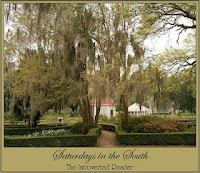 Note: Tomorrow I'm guest blogging at The Introverted Reader in the section, "Saturdays In The South." Hope you'll check it out. Author DiAnn Mills has had more than fifty books published, the first in 1998. Her novels spanning several genres of fiction have won numerous awards and been on the CBA and ECPA bestseller lists. In addition to her talent as a writer, DiAnn gives of herself in mentoring, and I owe a great debt to her for both her input and support in my own writing journey. DiAnn’s latest book, The Chase, is drawn from a real-life cold case, and is the first in the Crime Scene Houston series. She’s graciously consented to give us an insight into the writing of that book. RM: DiAnn, welcome back to Random Jottings. 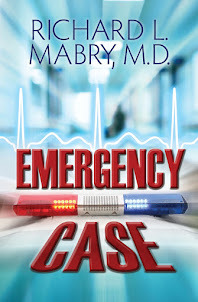 The Chase seemed to me to have a lot more about FBI and police procedures in it than many similar books by other authors. What kind of research did you do for this one? DM: Thanks for having me back! For The Chase, I teamed up with the media coordinator of Houston’s FBI to write from solved cold cases. What helped me the most was the her willingness to answer questions and provide information. And she read every word. RM: You based The Chase on an actual cold case. How did you get interested in that particular case? DM: I’m a mom, and in my pre-writing days I directed a day care. In short, I care about kids. The idea of a child starving to death is a horrible thought, but this child had no identity or link to the past. RM: Did you feel any unusual constraints in developing your plot line in this one because of the basis on an actual case? DM: The first section of the book, in which I massaged the case’s details, was tough. I cried a lot. Once I had that portion written, weaving a fictional story came much easier. RM: I notice that the main characters of The Chase will be featured in your next book in the Crime Scene Houston series as well. Will that book also be based an actual case? DM: Yes. The Survivor is about a twenty-three year old case that targeted a child who’d survived a brutal attack. RM: The female protagonist in The Chase is a reporter turned author of women’s fiction who’s making the move to writing suspense. There’s a great deal of “inside” material that will speak to writers. Will Kariss Walker’s journey to publish in a different genre continue in your next book? DM: Oh yes. Kariss found her corner of the market with her suspense novels. She has a fearless streak to ensure her research is accurate. Weave that with a Special Agent who’s known for his daredevil tactics, and you have a team who’s ready for whatever danger tosses their way. RM: And, as I always ask, any last words for my readers? DM: I love to hear from readers! Please connect with me on my Facebook “Like” page, Here, we have lots of fun, contests, weekly discussions, and an opportunity to get to know each other. For the next couple of weeks, I want to do some posts on various aspects of writing. I hope you'll enjoy them, and would welcome suggestions of others I can do in the future. This one's about an important facet of writing: character development. Although we aren't addicted to most of the "popular" programs on TV, Kay and I do have our favorites. Most are sitcoms (because, face it, there's already enough drama in the world), but we also like a few that feature some tension. One of these is The Closer. The show's star, Kyra Sedgwick, does a great job, and we're sorry to see she's leaving after this coming season. The show is on hiatus right now, but when we watched one of the last episodes to air, I commented, "They're really changing Captain Rader's character, making her more likeable. Guess they're getting ready for her to assume the lead role soon." That's character development. Writers seek to make one or more of their characters change as the story progresses. That's character development. The character may change slowly, as circumstances impact them, or may experience a dramatic turn-around due to a situation or development (think Saul on the road to Damascus). In either case, change has occurred. Without this, things can get boring in a hurry. As I've done the edits on my forthcoming book, I had to make tweaks and changes in the story of a couple of the main players so that their character development was smooth. It's not as easy as it sounds, but the end result is certainly worthwhile. Have you been struck by the character development in a book, movie, or play? Would you share an example with me and my readers? Can't wait to hear from you. There was a time when I said, "No, I don't own a Kindle, or any other kind of e-reader. I don't want to read a book on a screen. I like the feel of paper in my hands, the sight of ink on pages." But the more I looked into it, the more I realized that being able to read an Advance Reading Copy (ARC) of a book in view of an endorsement would be easier if I had an electronic copy. I found that it was convenient for travel to carry several books in one small package. 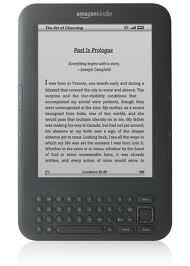 I discovered that the e-book thing wasn't going away. That was as a reader. It was as an author that I became a convert. As I watched sales numbers, there was no doubt that more of my books were selling in electronic form than the print version. And that wasn't just a fluke--it's a trend. Don't get me wrong. I think print books will be around for a good while. But over a period of years (and no one knows just how many), their portion of book sales will flatten out or diminish, while e-books will become more of the norm. At least, that's what my crystal ball shows--but it's sort of cloudy. What do you think? I'd love to hear your opinion on this subject. Note: There's a really neat interview with me over at TitleTrak.com. Hope you'll check it out. Where Did All These Rules Come From? Writers continue to grumble at all the rules they are asked to observe: avoid the passive voice, keep point of view consistent, shun adjectives and adverbs, etc. Not only that, as writers seek representation from agents (which is almost the only way to get a manuscript in front of an editor nowadays), they are presented with yet other rules. Although each agent has his/her own set of requirements for submissions, there are a few that seem to be universal. One of these requirements--that some things are single-spaced, others double-spaced-- has never really made sense to me, but I observed it anyway. Now, agent Jessica Faust addresses it, and makes it understandable. Here's the exchange from her website. Jessica's answer: Any pages you send should always be double-spaced. The only exceptions are the query and the synopsis. Those can be single-spaced. This "rule" stems from the "old days" when all agents read on the printed page. The double-spacing allowed editors and agents to make notes on the pages, and it also protected their eyes. Now that agents read on ereaders this probably doesn't matter as much, but that's assuming you know for sure that the agent you're sending to is doing all of her reading on an ereader. Since you don't know that, always double-space your manuscript pages. 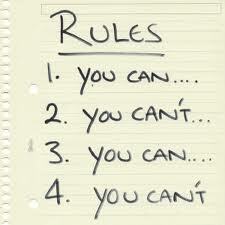 Writers, are there other "rules" that make no sense to you? Readers, did you have any idea of the hoops writers jump through to get their manuscript considered by a publisher? I'd like to know. If you're like me, you've probably had your fill of acronyms that have sprung up in our text-happy society, However, some of them may actually serve a useful purpose. Recently, agent Rachelle Gardner had a post offering a number of suggestions for lightening the email glut we all seem to be facing on an increasing basis. Among the excellent recommendations were a couple she's adopted, and they involve acronyms added at the end of the subject line of an email. If the question in the subject line stands on its own, with no explanatory text necessary, she adds EOM after it--"end of message." In other words, answer the question it asks and move on. That makes sense to me. If the material sent is informational, and doesn't require a reply, she adds NNTR in the subject line: "no need to reply." This simple act should allow us to chuckle or scratch our heads, even frown over the information, then move on with our lives. No need to reply. Great concept. 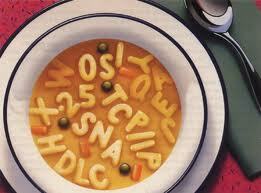 Are there any acronyms you've found to be helpful? Pass 'em on. We can use all the help we can get. I look forward to reading them. Some might even cause me to LOL. Writers have heard all the advice. In order to succeed, it's necessary to have a platform. That might be a presence on social networks such as Twitter, Facebook, Google+, Goodreads, or other sites. It would certainly include both a website and a blog. One has to consider personal appearances, speaking, signings, and even pounding the pavement to introduce yourself to brick-and-mortar bookstore managers. Blog tours? Sure, the more the merrier. And the list goes on. I, like most authors, have climbed aboard this merry-go-round, but a recent survey has me scratching my head, wondering if it's all in vain. The survey was of readers of a specific genre of novel, but I sort of imagine the results can be applied more generally. And the results are striking. 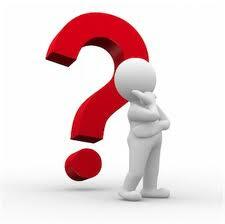 Readers were asked to indicate their interest in several activities that constitute the stock in trade of marketing. Of respondents, 40% said they had no interest in author websites, 51% said the same for book trailers, 62% didn't read authors' blogs, 70% don't follow authors on Facebook and 83% didn't read authors on Twitter. The number one source for discovering a new title or author? The recommendation of friends. Also in the top echelon of factors were bookstore displays and the website of online booksellers. I'm still trying to digest this information. Some of it's sort of hard to believe. Then again, if there were one thing that guaranteed sure-fire book sales, we'd all be doing it. Instead, there are lots of things, and we're like a juggler attempting to keep all the plates spinning. Whew! How about you? What factor or factors contribute most to your decision to buy a book, especially one by a novelist whose work you haven't read? I'd like to know. I heard a new word recently: Nomophobic. It means fear of being without one's cell phone. The derivation of the word is simple. "No mobile phone" fear. And it's on the rise. Ten years ago when I was driving home from work I would notice the occasional driver talking on his or her cell phone. But that was then, and this is now. A week or two ago I did an informal survey and noticed that in one five-minute stretch a full 80% of the people coming toward me had a cell phone pressed tightly to their ear. Of course, that was about 5:00 in the evening, and it was possible that these folks were calling home to see if they needed to pick up bread and milk. But 80% of them? Who are all those people calling while driving? Not everyone can be checking to see if they need to stop by the grocery or cleaners. My theory is that, in our modern world, we're so committed to multitasking that we can't stand the thought of "wasting" time behind the wheel of the car. We need to be talking. We need to be doing. Otherwise, someone might get ahead of us. Or, maybe they're already there. There was an excellent blog post recently about quiet time for writers, time to "brood" as it were. Often, when I'm in the car alone, I keep the radio off and simply meditate. I have to admit that I get some of my best ideas then. But, as Wordsworth said, "the world is too much with us, late and soon." Apparently I'm in a distinct minority when it comes to having a quiet time. Others prefer to glue a cell phone to their ear. That's their choice, but it still makes we wonder. 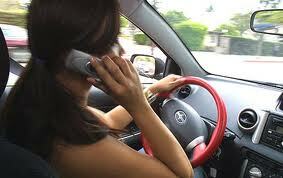 Do you talk on your cell phone when you drive? Why? Or why not? Let me know. 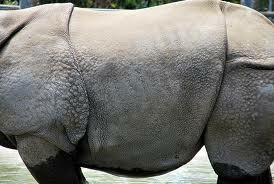 Writers hear it again and again: "Develop a thick skin." Rejection is part of the process. Our work is critiqued (and sometimes criticized--there's a difference) repeatedly. We get rejected by agents, by editors and publishers, and if we eventually get our work published, by readers. In my very first writing group, author Gayle Roper told us that when our submission was discussed by our peers we'd have to remain silent. Why? Because you can't stand over the shoulder of your readers and explain yourself. You can't justify or embellish. Your work has to stand alone. That's easy to understand in principle, but it's awfully difficult in practice. I just received an email from a reader who, as a health-care professional, took umbrage at one small part of one of my novels. I won't go into detail. 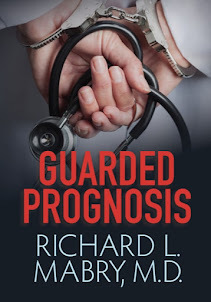 Let's just say that it brought up some inequities in the system that she chafed under day after day, and she felt I was painting the medical profession/hospital as the "bad guy." I had no intention to do so, but that's the way she took it. I thought about it for a good while before sending a return email indicating that wasn't my intention and apologizing if she found the way I'd handled the situation distasteful. I don't know if I'll ever hear from her again, but I took her complaint to heart. Unfortunately, no matter how hard we try and how skillfully we edit, sometimes our writing is going to hit a reader the wrong way. 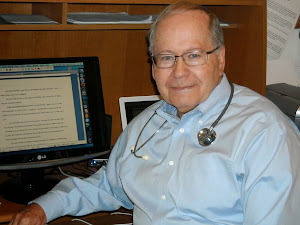 Every one of my books, my website, and my blog all carry my email address. I encourage my readers to communicate. Many of the emails I get are from readers that like my books. Fortunately, emails like this recent one are more rare. But you know what? I pay as much--maybe more--attention to the complaints as I do to the compliments. I'll never satisfy everyone, and if I tried, I probably would never get more than a page written. Nevertheless, it helps to periodically be introduced to the reality that you can't please all the people all the time. Have you ever communicated to an author your displeasure at something he/she wrote? Why, or why not? I'd be interested in hearing.